Embedded Systems industry is in high requirement for people having fundamental knowledge in this technology and skilled in the latest technologies vis-à-vis CAN, USB and Ethernet. People with good knowledge in wide variety of processor platforms including Intel x51, Microchip PIC, Atmel AVR and ARM are in high demand. This training program will make the trainees proficient in the latest technologies and bridge the vast technical gap that persists in academics. 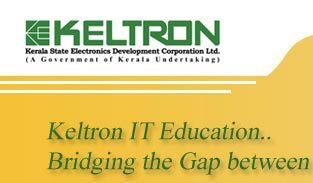 There by making the trainees proficient, competent and eligible for any Embedded System Development industry. The contents delivered in this training program ranges from basic microcontrollers to advanced microcontrollers and Digital signal processors to Real-Time Operating Systems. Placement chances are very high.